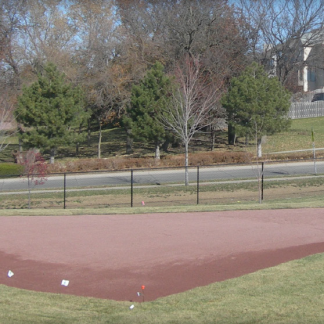 Designed to reduce the maintenance necessary in the high-traffic mound and batter’s box areas, particularly at facilities requiring low maintenance inputs. These 3″ thick mats are constructed of a porous rubber base that allows water to move through with a turf top that reinforces the soil allowing players to dig in but not create holes. 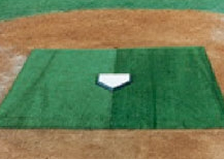 After installation the Jox Box mats are covered with 1/2″ of ths same material normally used on the mound or batter’s box areas. 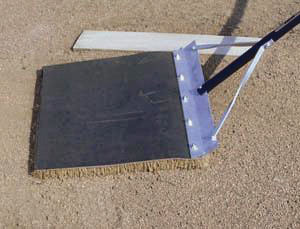 Set of two foundation mats with a cutout for home plate. 10′ wide x 8′ long.